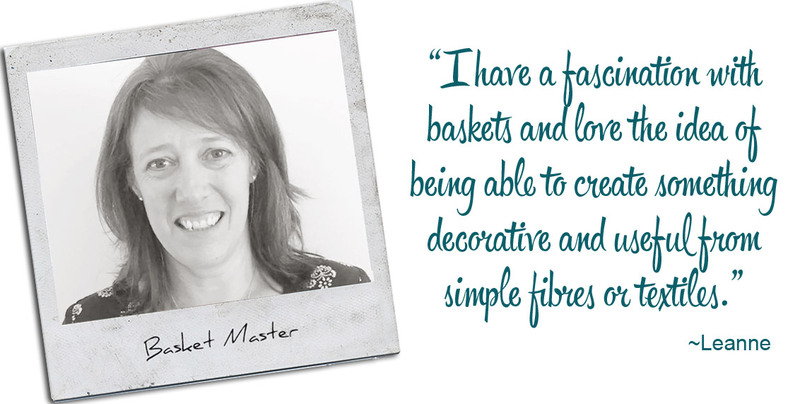 My name is Leanne and I create textile/fibre coiled art. 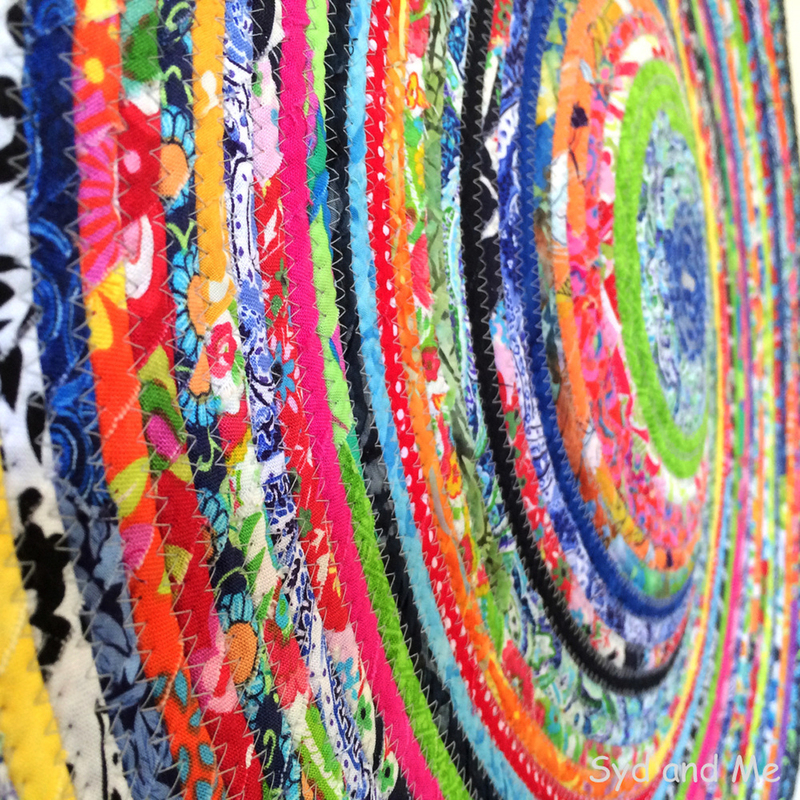 I have wandered many creative paths during the years; painting, sewing, embroidery, collage, knitting and I have even made a quilt or two, but textile/fibre art is my passion. 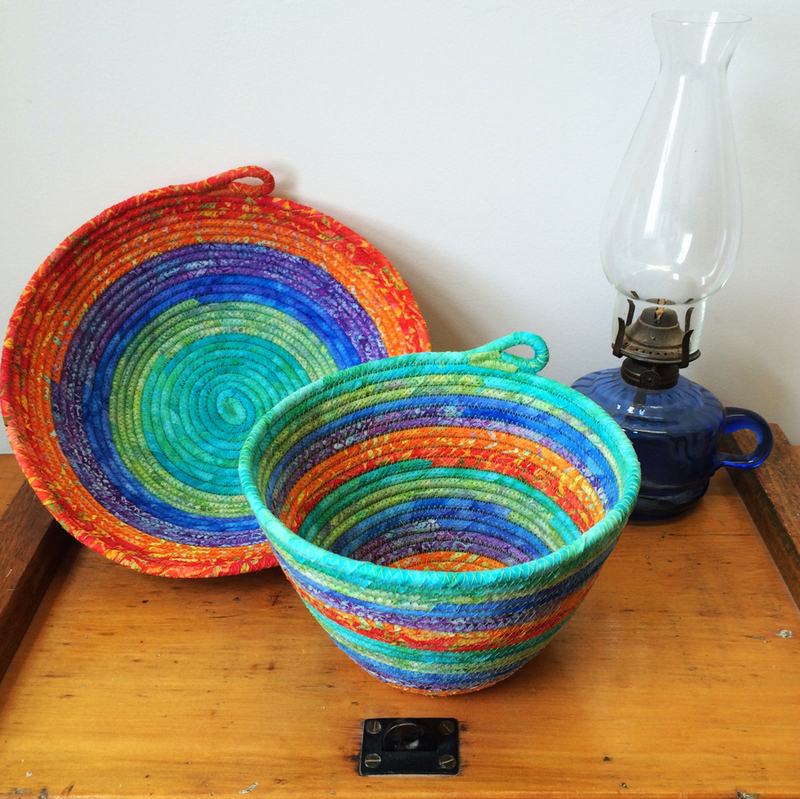 I have a fascination with baskets in particular and I love the idea of being able to create something decorative and useful from simple fibres or textiles. My grandmother collected baskets of all shapes and sizes from all over the world and had them suspended from the ceiling in the lobby as you walked in the back door, tagged with little labels saying where they had come from. 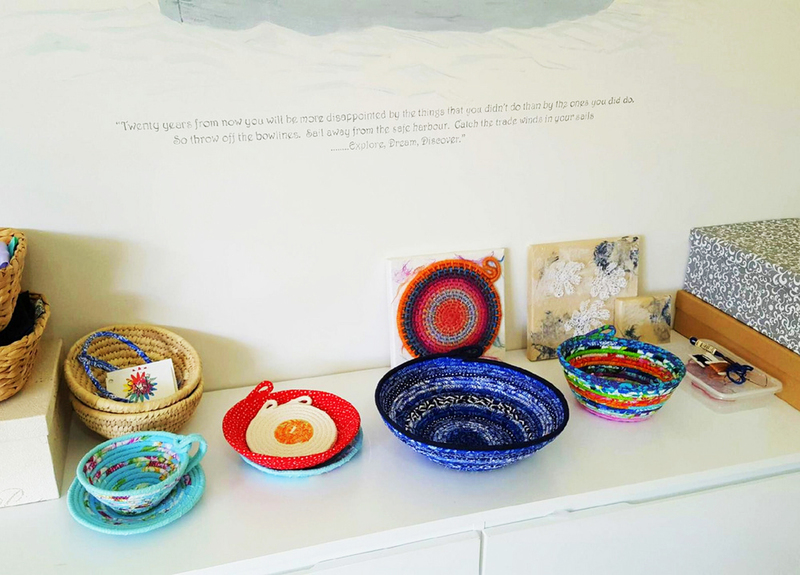 Despite family jokes and much eye rolling over the years about Nanna’s numerous baskets, almost everyone had a favourite and many baskets made their way into our homes when she passed away. 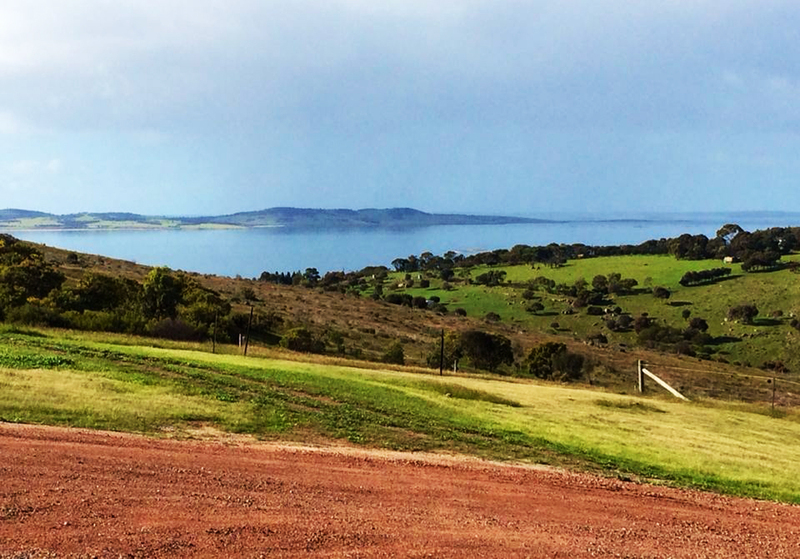 I live with my husband in Port Lincoln South Australia on a hilly three-acre property. The front of our home has more windows than walls so we are blessed with spectacular views overlooking the ocean and Boston Island. During the week I work as a Finance Manager at a school, in a windowless office, which is about as far away as one can be from creativity and revitalising your soul. 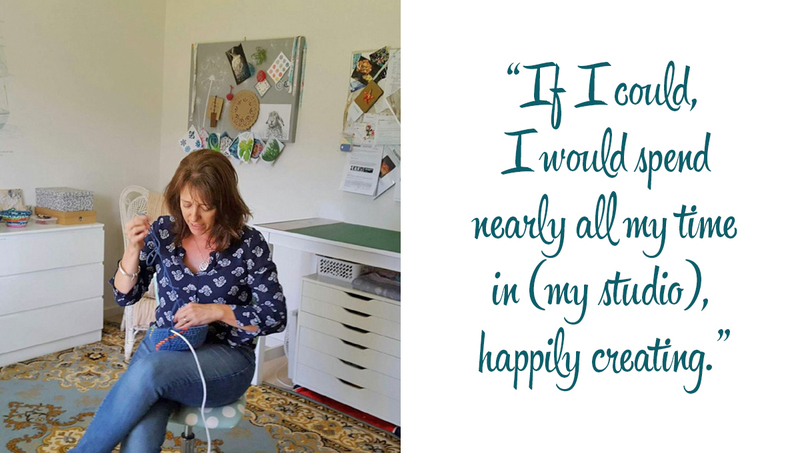 It does however help pay for my supplies and I have lots of time in term breaks to hang out in my studio, which is my downtime and what keeps me sane. I am lucky enough to have a dedicated studio in my home with a garden view. 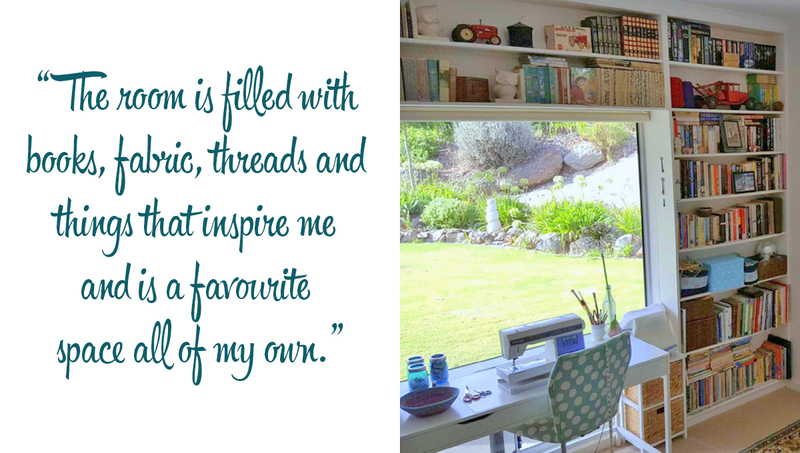 The room is filled with books, fabric, threads and things that inspire me and is a favourite space all of my own. If I could, I would spend nearly all my time in there, happily creating. The name `Syd and Me’ came about as a reference to my fabulous sister Rachel, whose nickname since childhood has been `Syd’. My two children, who are now young adults, have only ever called her Aunty Syd. In my ideal world, Syd and I would run a coffee shop in a heritage building with a fabulous garden and old books to read. She would bake delicious cakes and I would create and sell my fibre art. I have the name ready, I just need to get the rest organised. I have been selling on Made It for several years now along with markets, a couple of bricks and mortar stores and a gallery. 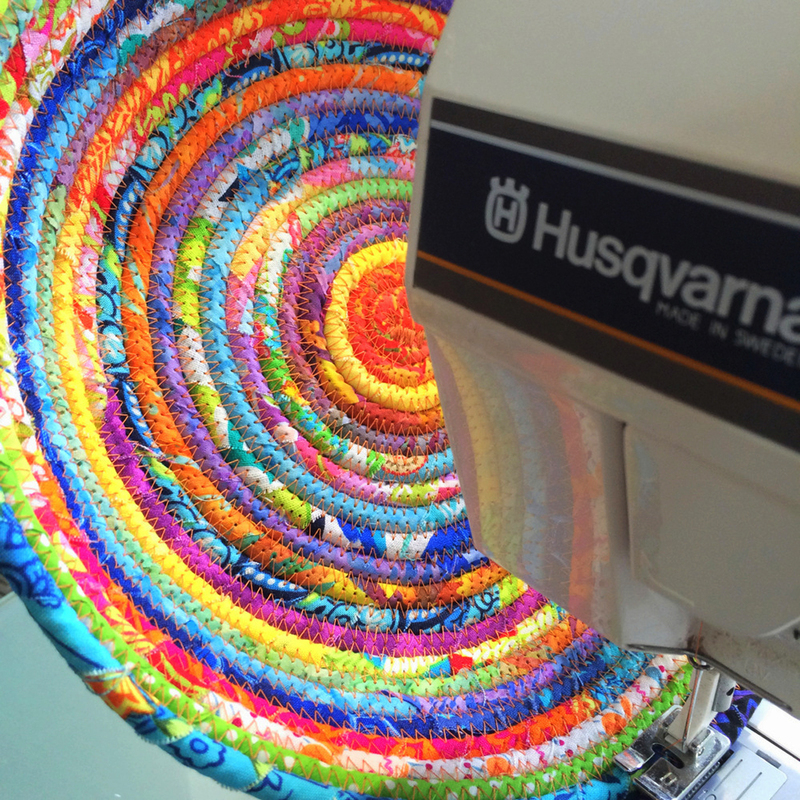 Initially when I opened my Made-It store I was making children’s clothing and hair accessories, but I found after a few years that this did not give me the creative scope that I needed. 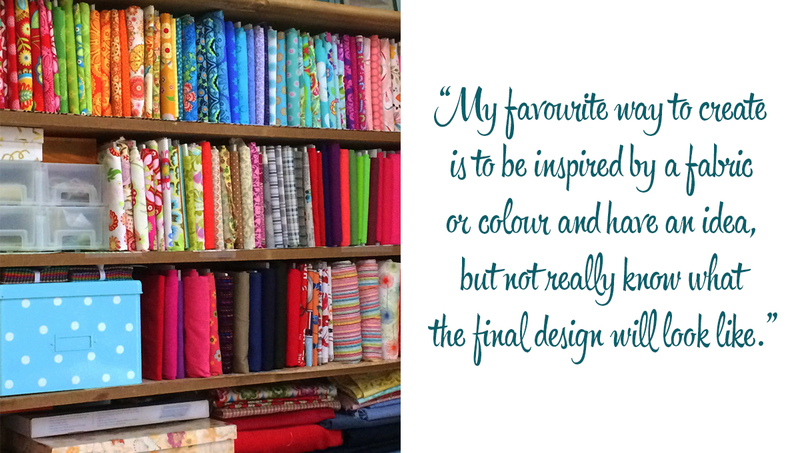 My favourite way to create is to be inspired by a fabric or colour and have an idea, but not really know what the final design will look like. Occasionally I am not so happy with the result, but mostly I love the end product and the surprise element of the finished piece. 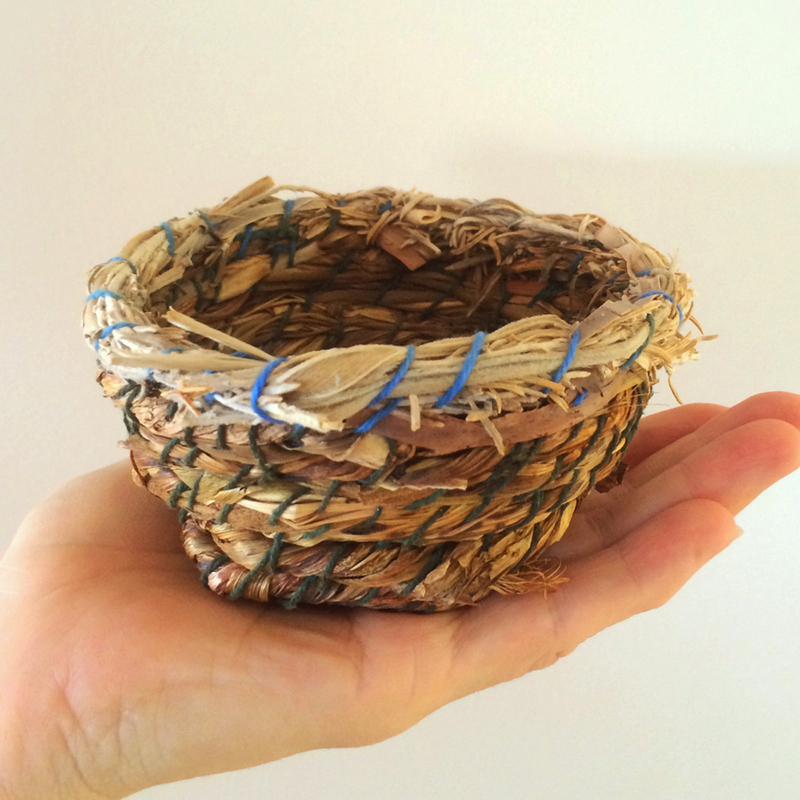 I am always on the hunt for new ideas and materials that I can incorporate into my baskets. I have just ordered a supply of ethically sourced raffia and other fibres to add to my stash. I am the person who pinches all the trimmings off the presents at Christmas time, no spare piece of string or ribbon escapes my eye. I love handmade. Someone has usually put their heart into making an individual piece and I believe in supporting them and enjoy the personal touches you often receive. This is something I strive to incorporate in my business with little things like including a handwritten note in parcels to my buyers. 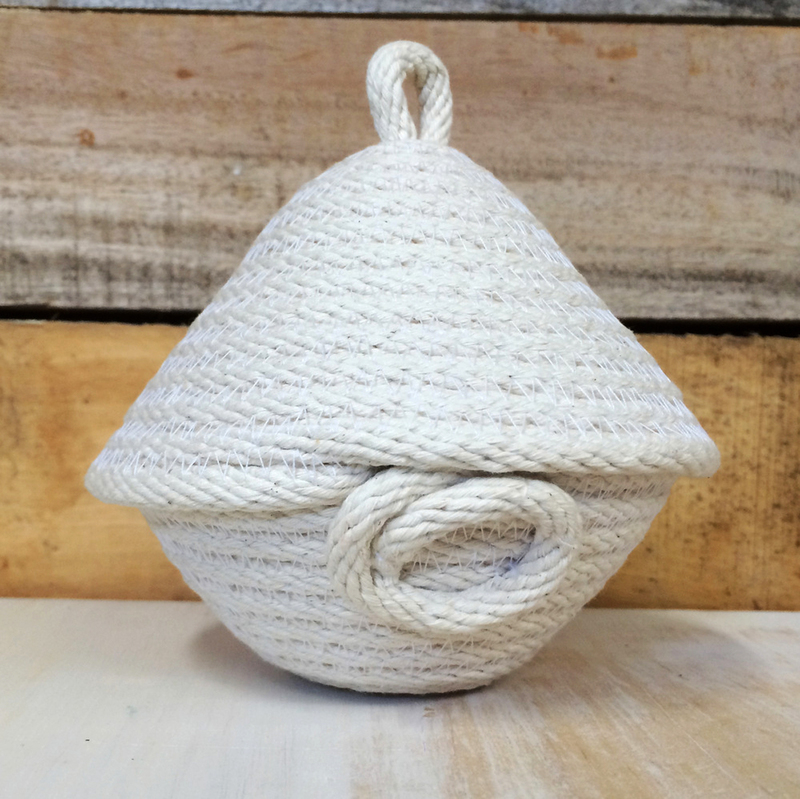 I have also become more conscious over the years of the huge waste we create so I particularly like being able to buy recycled or environmentally friendly goods, and the quirkiness that can come with that. I like to make one off designs as that suits my creative process. 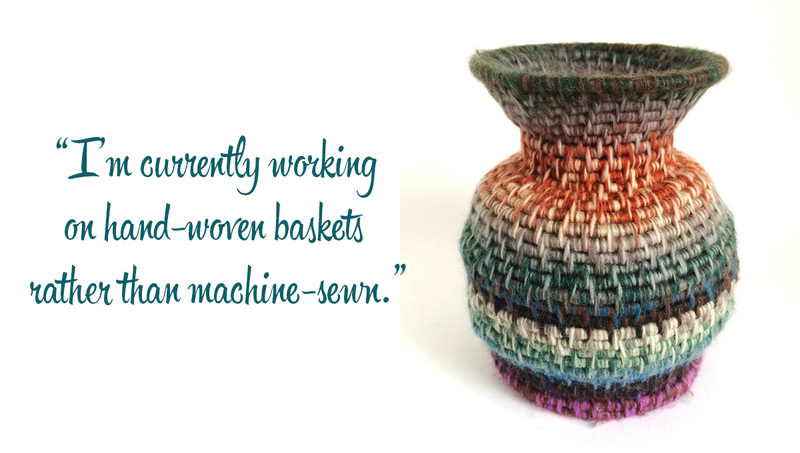 I am currently working on handwoven baskets rather than machine sewn. It gives me more options with shape and the materials I can use, plus it is portable so I can create wherever I go. I made the decision last year to no longer attend markets as I find having to make a large amount of stock to a deadline does not always fit in with my day job and stifles my creativity. Having an Australian platform like Made It to sell on is a huge asset for me as I would rather spend my time creating than selling at a market or dealing with the stresses of operating a website. 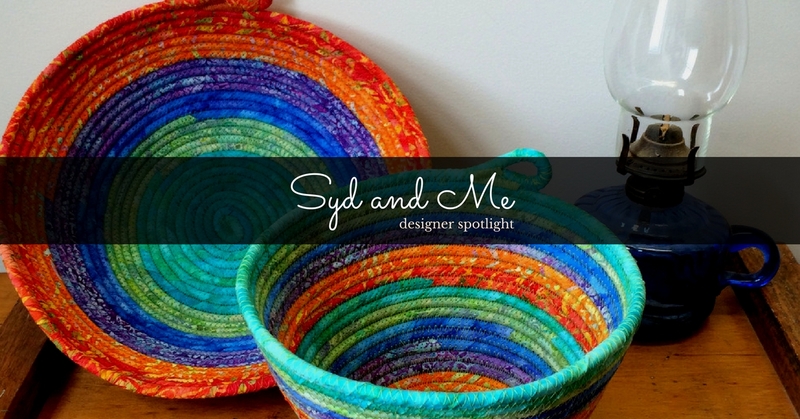 I love that Made It is solely handmade and I feel very special to be given a place in the Designer Spotlight amongst so many creative and talented people.